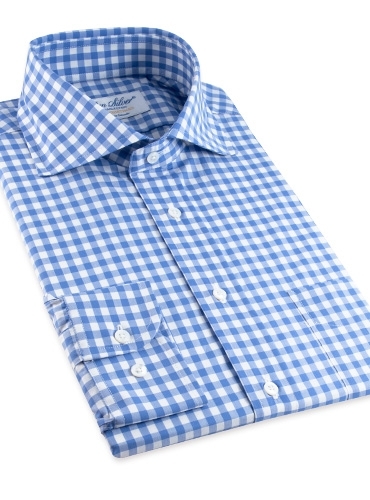 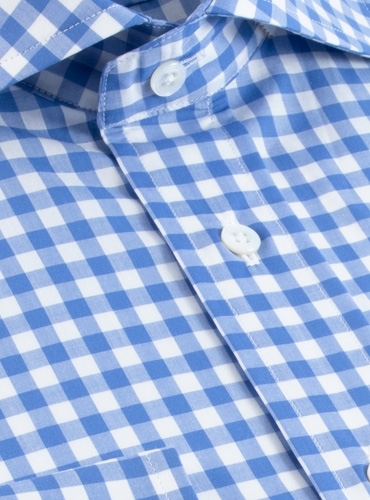 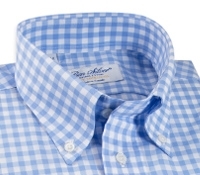 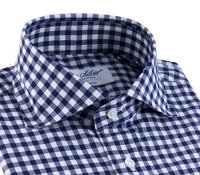 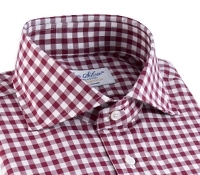 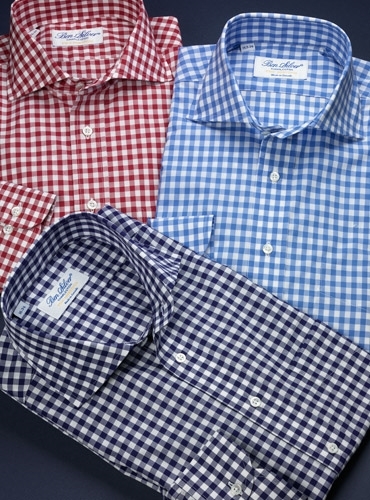 Our always in style bold gingham check shirts are cut from the finest cotton poplin woven in Italy, with cutaway collars, button cuffs, and mother-of-pearl buttons. 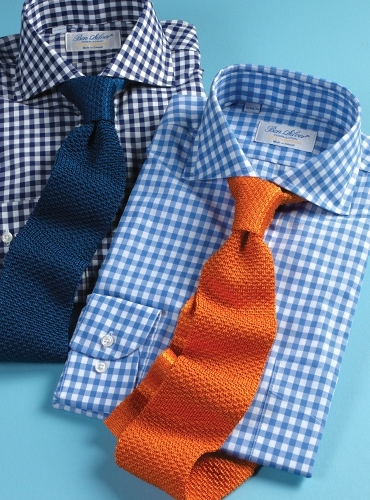 Featured in light blue. 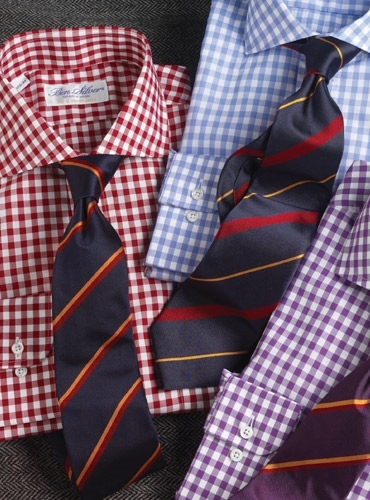 Also available: 210-wine; 212-navy.